Finding yourself suddenly without your business phone or fax numbers because of a porting pitfall can be more than an inconvenience: imagine having to change numbers on all of your printed business material, from business cards to brochures; updating websites; reaching out to all your contacts; and trying to remember everywhere you’ve listed your numbers. Then there are contracts, accounts, and other filings that you will have to go back and update if you are forced to get new numbers. Avoiding that is worth reading some fine print and understanding how to port a number from a VoIP or online fax carrier before you need to do so. In these days of mobile technology, your VoIP phone or online fax number is more than just a convenience; it is a vital part of any business’s communications, whether you’re a sole proprietor or part of a company with 100 employees. It’s easy to take for granted that you’ll always be able to keep our phone and fax numbers, since many providers allow you to port an existing number in or out to a new service. But what happens if you get a phone or fax number with a VoIP or online fax provider that doesn’t allow you to take that number with you when you change to a new provider? While number portability is common, it’s not a given, and in fact some companies have steep penalties for taking a number with you to another service. Others make porting possible, but only if you follow an exact series of steps or agree to pay a fee. The Federal Communications Commission (FCC) and Congress first mandated number portability in 1996, and that means that all telecommunications carriers must allow number porting. However, some carriers refuse to port out numbers by claiming that they’re not telecommunications carriers, and that they therefore aren’t subject to number porting rules. 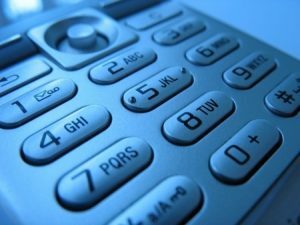 Benton says that in order to port most non-mobile numbers – including “virtual” numbers from VoIP providers – you need a Letter of Authorization, often provided by the new carrier you’re trying to port into. For instance, Nextiva and RingCentral are among those whose porting policies require a LOA in order to port a number out. Others, like Google Voice (a free service) require you to unlock your number before porting it out, and pay a $3 fee. Almost all providers require you to keep your number active while going through porting, another detail which can be easy to overlook. Paying attention to details like the wording in the LOA and keeping the account active can make or break a porting experience. Some providers simply don’t allow porting at all. J2 companies, which include online fax providers eFax and MyFax, put language in their customer agreements about not porting numbers out (in all caps for added emphasis! ): “YOU FURTHER UNDERSTAND AND AGREE THAT YOU ARE NOT THE OWNER OF ANY eFAX NUMBER ASSIGNED TO YOU BY j2 GLOBAL. OWNERSHIP OF ANY SUCH eFAX NUMBER IS VESTED SOLELY IN j2 GLOBAL…YOU ARE EXPRESSLY PROHIBITED FROM CAUSING OR ATTEMPTING TO CAUSE THE eFAX NUMBER ASSIGNED TO YOUR ACCOUNT TO BE TRANSFERRED TO ANY OTHER SERVICE PROVIDER, TELEPHONE CARRIER OR ANY OTHER PERSON OR ENTITY.” What’s more, if you do port a number from a J2 carrier to another service, whether intentionally or by accident, J2 will automatically charge your credit card $500. Benton says that since carriers like eFax do not consider themselves telecommunications carriers, they’ve been able to refuse to port out numbers. Whether or not that would hold up in court remains to be seen, he adds. The bottom line is that it pays to do some advance reading before picking a VoIP or Internet fax provider. Chances are that you won’t stay with the same provider forever, and if you don’t want an unpleasant and expensive surprise when it comes time to change to a new service, you should know your options before committing to a provider. 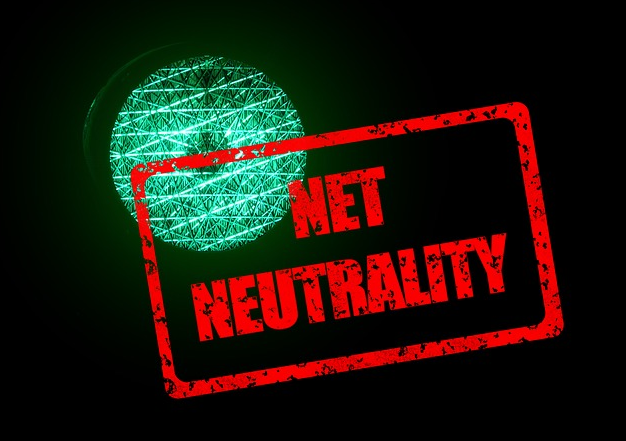 What Does Net Neutrality Mean for VoIP Services? In February 2015, the Federal Communications Commission (FCC) issued a long-awaited set of new net neutrality regulations. Those regulations are now being disputed in court. The outcome, whichever way it goes, will undoubtedly have a large impact on the business community. While many people in the U.S. may think about the ruling as it pertains to personal consumption – for instance the speed at which you can stream videos – it will also affect VoIP services, and the businesses that use them. Net neutrality in principle is the idea that all Internet traffic should be treated equally. The term was coined by Columbia Law School professor Tim Wu in 2003. In practice, the net neutrality regulations that the FCC passed mean that Internet service providers (ISPs) must give consumers access to all legal content that flows at the same speed, without blocking or favoring one source over another. In May 2014, the FCC chairman had proposed a plan that would have allowed large ISPs like AT&T, Verizon, and Comcast, to charge higher rates for faster voice and data streaming. The proposal spurred a lot of debate, but with the February 2015 ruling, the FCC did away with that idea. Instead, the FCC defined ISPs as “common carriers,” which means the government can regulates them. ISPs were prohibited from blocking any lawful content, apps, services or devices, and prohibited from discriminating against competing services or providers by charging for faster speeds. The debate over net neutrality isn’t over yet, though. The U.S. Telecom Association filed suit in July over the new FCC rules, arguing that without Congressional approval, the commission doesn’t have the authority to enact such large-scale regulations. As of this writing, broadband providers and industry advocates, as well as FCC officials, were testifying before the U.S. Court of Appeals. Proponents of net neutrality say that without it, ISPs will be able to charge higher rates in order to guarantee higher speeds. 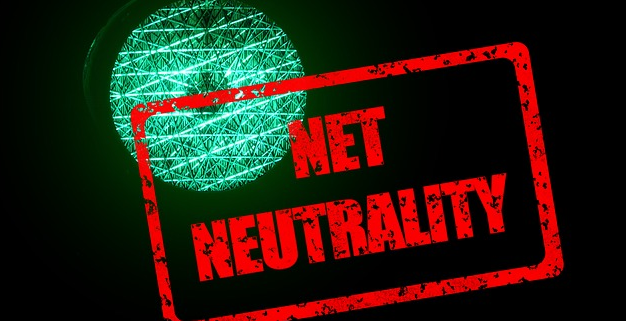 Since hosted VoIP providers rely on high speed bandwidth for quality voice and data transmission, a reverse to the net neutrality rules could mean they would have to pay those higher costs, and pass costs on to business customers. 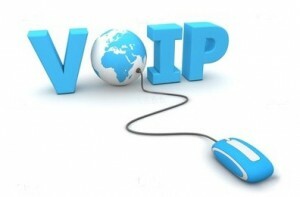 Net neutrality could also impact the service choices businesses have when they consider a VoIP provider. Some VoIP providers – Ooma, Jive, RingCentral, Nextiva, and 8×8, for instance – are hosted, and rely on ISPs to deliver bandwidth. But there are also VoIP providers – AT&T, Comcast, Time Warner, and Verizon – that are both ISPs and VoIP providers. Some of those large ISP and VoIP providers have been past plaintiffs against FCC net neutrality rules. If the current suit that seeks to overturn the February net neutrality regulations is successful, it could mean businesses buying VoIP services would see tiered pricing models, with certain content and services only available at higher priced tiers. In fact Verizon said in 2013, in its action at that time against the FCC’s Net Neutrality Order, that it would like to implement service pricing models. For hosted VoIP providers that are not also ISPs, tiered services might also become the norm, since they will also have to pay more for faster bandwidth. Net neutrality advocates say they fear that without the regulations in place, businesses may be forced to choose large ISPs for their VoIP services, since those companies will be able “to throttle the speed of delivery of VoIP traffic that is routed through competing providers,” as a blog post from Callforwarding.com says. But some have said that any payment for a better VoIP call would be tiny, and that paying for a completely separate VoIP broadband connection would benefit businesses, since that connection wouldn’t be interrupted by file downloads. Should the net neutrality regulations stand, large ISPs like Verizon won’t be able to charge more for faster bandwidth or additional content. Some hosted VoIP providers say net neutrality would mean better service and lower costs for their business customers. “The new regulations allow hosted VoIP providers like INVOIP to keep providing high-quality services that meet your needs, without worrying about ISPs limiting bandwidth or raising rates,” writes Ben Rife on invoip’s blog. Stay tuned for more coverage on net neutrality and the outcome of the current suit over the FCC’s regulations. What Exactly Is A Softphone? If you’re thinking about how to implement a modern communications system for your business, you’ve probably encountered a range of different services and products that take advantage of Internet technology. One of those tools is a softphone, which is simply a software program that allows you to make calls over the Internet with your computer using Voice over IP technology (VoIP). Softphones are becoming a popular choice for businesses, since they make it easy to manage calls and faxes from a computer. Although anyone with a computer can use a softphone, those who travel frequently, frequent long-distance callers, and telecommuters can particularly benefit from some of the features. VoIP beginners are also good candidates for softphones; it’s easy to download VoIP software and make free computer-to-computer or computer-to-phone calls. Softphones may include a headset or hand-held handset, and users dial from the keyboard. Sometimes softphones also work with an analog telephone adaptor that lets users make VoIP calls from a standard telephone handset. Popular softphone services include Skype and Google Hangouts, although many communications companies offer their own softphone services. The ability to screen calls, either with an auto-receptionist, or by displaying the name and number of the caller. Call routing that can send calls to voicemail, or transfer live calls to another phone. Call recording and downloading of recorded calls. Faxing capability that lets you sign, send, and receive faxes. 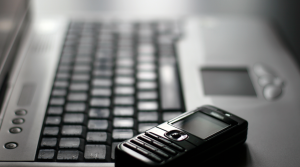 Most softphone systems require a PC or Mac with a current operating system. Users simply have to install the software of whatever system they’ve chose to use, and are then able to begin making calls. Many businesses now choose Voice over Internet Protocol systems in order to save money and streamline communications services. VoIP, sometimes also called Internet telephony, offers a lot of enticing features for companies seeking easy and sophisticated communications services. VoIP systems are known to be user-friendly for employees, come with good customer service, and mean less clunky hardware. But there’s a host of other great features you might not know about VoIP systems that are worth noting. Use your business phone number anywhere: phone numbers and extensions aren’t tied to the line, so employees working from home, or on the road, or on a job site, can still make and receive calls anywhere. Some companies, like RingCentral, offer smartphone apps so that you can take VoIP calls over Wi-Fi or a 4G network without using carrier minutes. Voice mail features: voice mail to email transcription turns your voice mail messages to text and sends them to your email, so you can catch up on them at your own pace. Some systems also allow you to listen to a voice mail and interrupt to take the call if you choose. Security integration: if you work in a business with a locked entrance, this features integrates a door buzzer into the phone, so you can converse with visitors and unlock the door from your phone. Sharing and conferencing: some systems, like ShoreTel Sky, allow you to conduct peer-to-peer video chats, launch a desktop sharing session during an audio or video chat, and send files as you’re talking. Fax viewing options: receive email or web alerts that you have a fax or voice mail waiting for you. VirtualPBX handles incoming faxes automatically, and will send faxes and voice messages to an email address of your choice. Instead of checking multiple places for messages, you can receive them all through your email. Easily create new lines: Many providers allow businesses to set up new extensions with separate voice mail messages. Read more here for further information on finding the right VoIP provider. How Much Paper Can Digital Services Save?